Weight-resistance training in osteoarthritis - What are the patient guidelines? Better planning of exercise program. Strategies for performing exercises effectively. What are the General considerations for the patient in planning weight-resistance training as part of treatment of OA? Not all type of OA respond to exercise treatment, infact it is contraindicated in some form of OA. Before starting any weight-resistance program, always consult with a medical specialist who is well experienced in arthritis care. This will help you to learn what response you might expect from weight-resistance training and to discuss about its limitations. Some exercise are contraindicated in certain form of arthritis. You should consult with a qualified physical therapist and / or personal trainer to make out which type of exercises are best for your arthritis. Better response is seen with supervised exercise program in a gym than an individual home-based program. This is because people are likely to adhere to a program and better motivated if they are being supervised.It is a good experience to practice in a gym that has a greater diversity of equipment and classes. You should identify a training partner.This is to improve your interest and motivation. A good partner can also provide you constructive criticism. If you are on medication for arthritis,you should be aware of the possible side effects of that drugs and effects it could have for exercise. Certain drugs give you a false sense of well-being and they may allow you to push beyond your limits, which results in more injury to joints and exacerbate your condition. Avoid over-the-counter medications. If you have little or no relief from the recommended dose of medication, this may be a sign of a more serious condition. Some people use ointments for relief for the symptoms of arthritis. There are no scientific data to suggest how much relief is obtained by ointment use or whether they are effective in the treatment of arthritis. Plan your exercise at that time of the day when you feel most energetic as well as when you are not in a hurry. 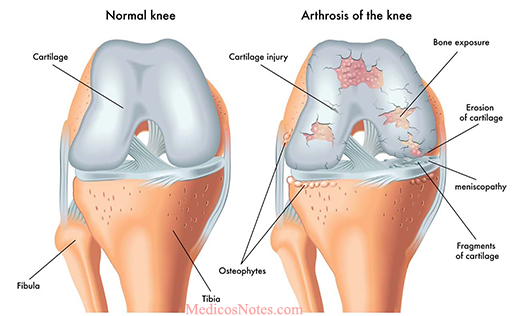 Overweight is a always a problem in patients with osteoarthritis.It increases the physical load on damaged joint as well decreases the exercise tolerance. If you are overweight, don’t hesitate to incorporate a weight-loss program which can be done with diet control and cardiovascular exercise. This will definitely reduce the weight bearing loads placed on the joints. You should be always aware of latest trends in exercise. Try different exercises. Try free weights as well as machines, because they have different benefits. Do not take anything for granted. It is better to Incorporate recreational activities of your interest into the fitness program such as golf, hiking, swimming or bicycling. It is true that You will never continue doing any activity if you do not enjoy it.So have fun to make it more enjoyable.